Take me back to the circus! I love a good festival me! There is something absolutely incredible about being part of a huge heaving crowd of like-minded people, enjoying some amazing music and having a dance with my best friends. 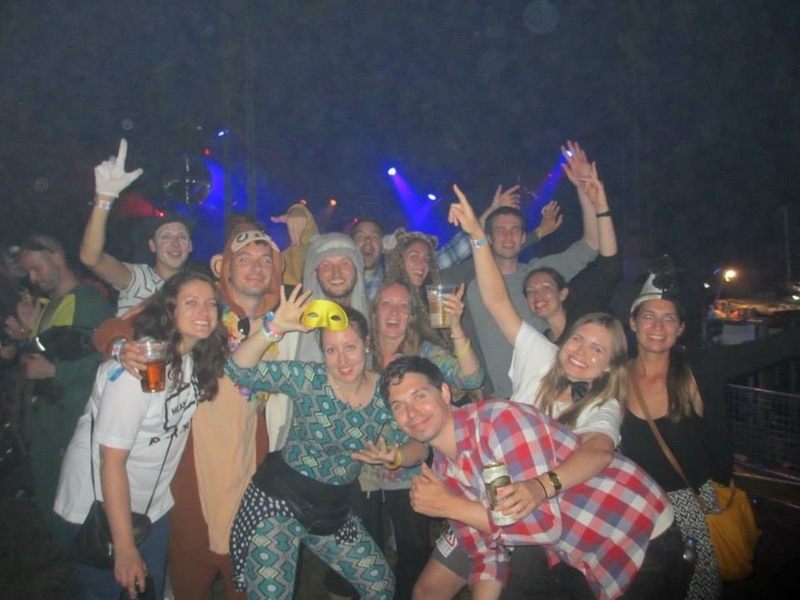 For the last three years I’ve been to Standon Calling, a relatively unknown and really small festival in Hertfordshire, and always have such a fantastic time. Having got back from this year’s festival on Monday night I thought I’d share with you some of my favourite bits! This year Standon was the biggest it’s ever been with acts that people (my mum!) had actually heard of – Bastille, De La Soul and Aluna George to name a few – and all 5,000 tickets completely sold out. At 5,000 people, it’s still a ridiculously small crowd compared to the big festivals (Glastonbury is c. 140,000!) and it has a really nice community feel to it as you see the same people throughout the weekend! Always nice when you do the classic make-best-friends-with-the-people-in-the-bar/toilet-queue-at-3am as you get to do that 3 nights running with the same people! Being small also means it’s easy to stick with your mates without getting lost or separated! 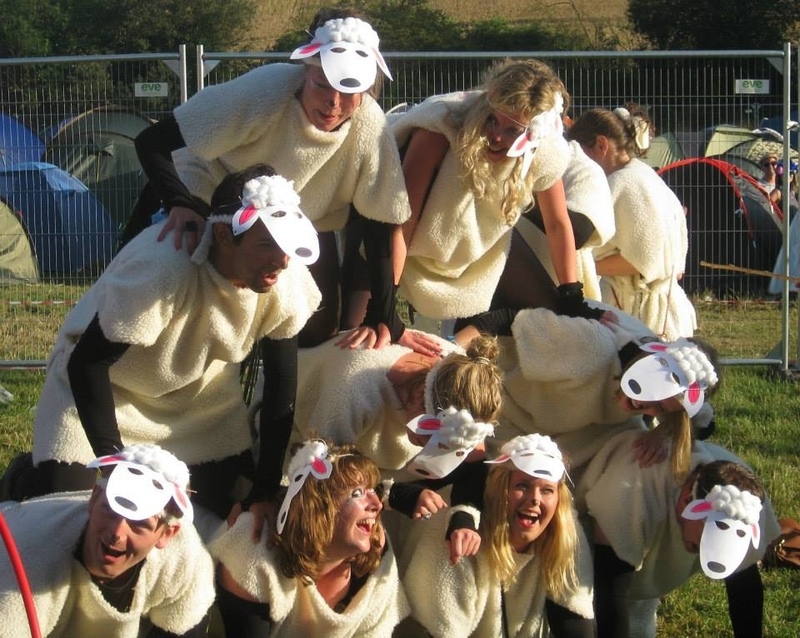 This group dressed up as sheep, a farmer and sheep dogs and every so often would suddenly jump into a routine, where the dogs rounded up the sheep into a human pyramid! 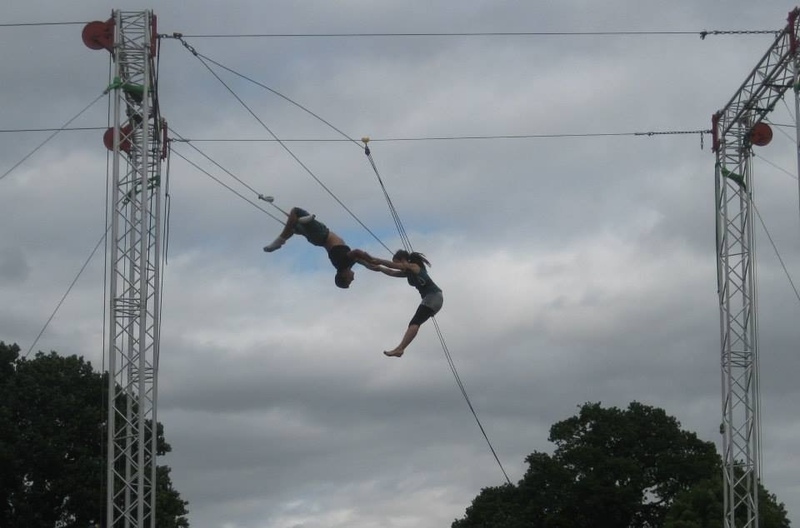 True circus-style – there was a trapeze in the middle of the festival! 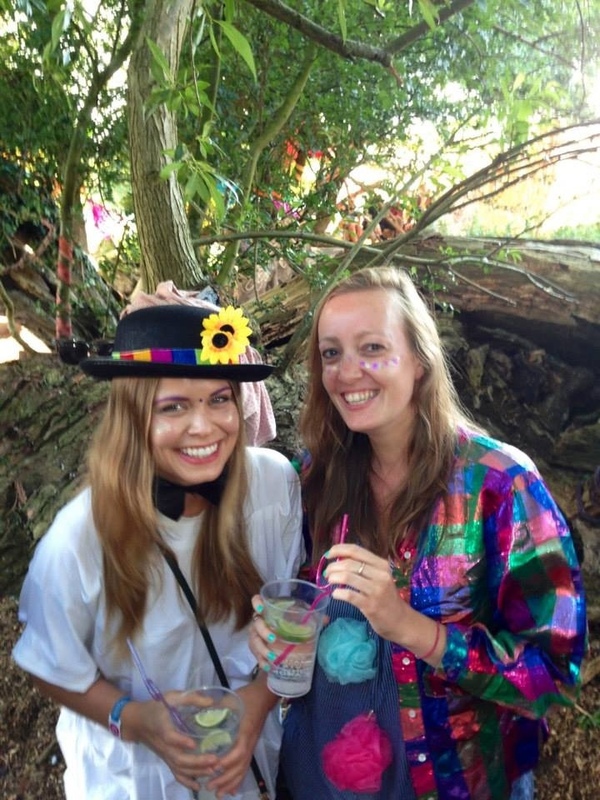 Every good festival should have a strong theme (Bestival I salute you, you do it better than any other!) 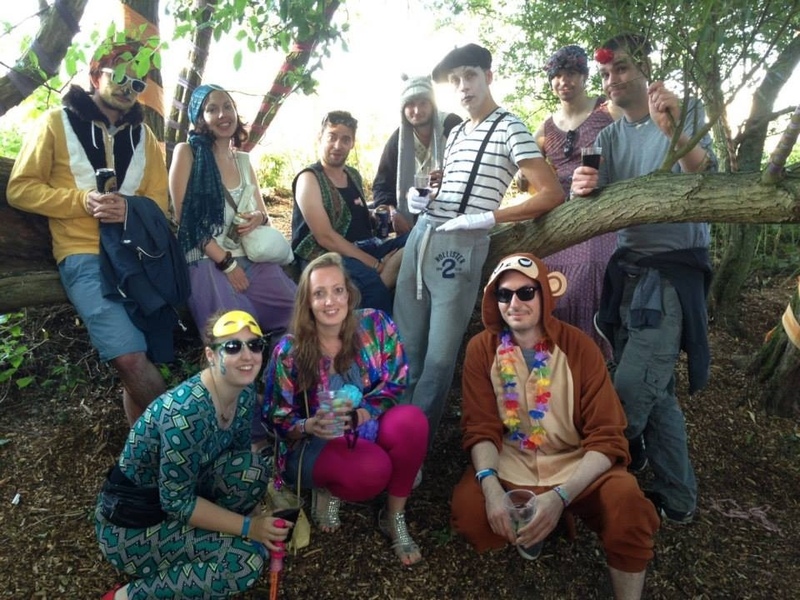 and this is something Standon Calling really embraces too. 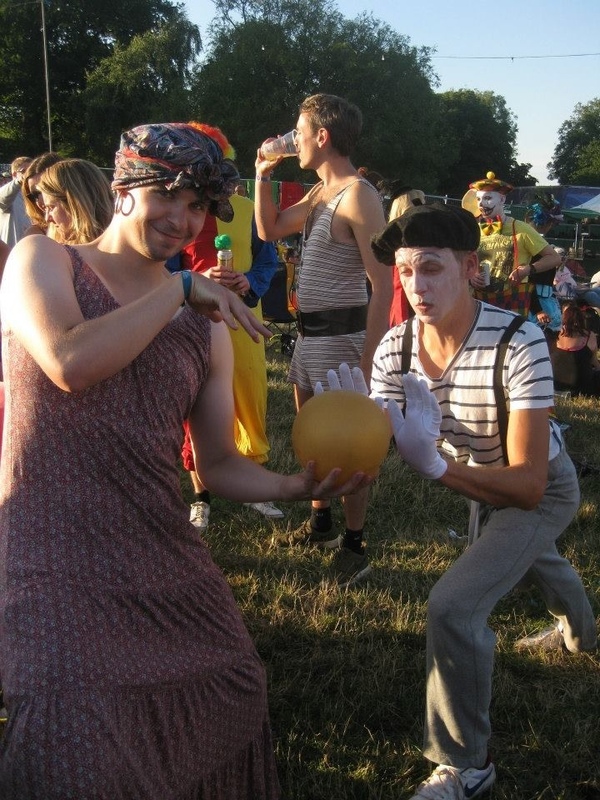 This year it was Running Away From the Circus which meant lots of crazy colourful clowns, a variety of animal onesies, many a bearded lady (why do men love dressing up as women at festivals?!) and GLITTER! LOTS AND LOTS OF GLITTER!!! Seriously I am still finding it all over me!! They up-ed the theming this year which was great, with old circus caravans dotted about the site, classic circus decorations and even put on a Standon People’s Circus shows – a mix of professionals and festival goers who’d arrived a couple of days early to learn how to perform a variety of circus acts! The tight rope walker was particularly amazing and did all sorts of tricks whilst walking the rope, including putting his leg behind his ear, and taking his trousers off, without falling! Incredible! I dressed up as a clown which was a very last minute thrown together job, but actually came out pretty well (if I do say so myself!) 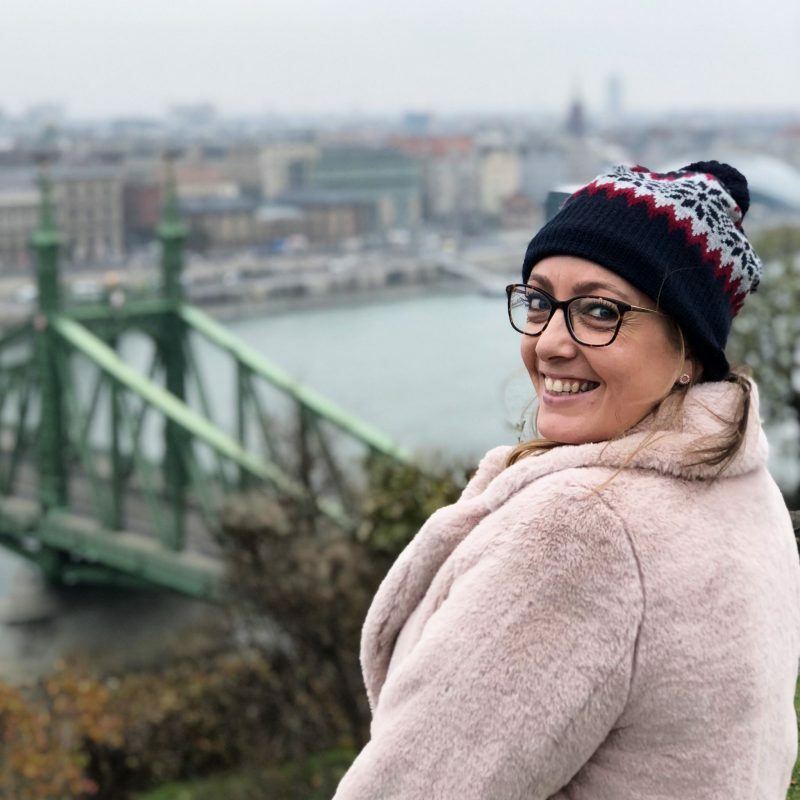 II teamed a pair of bright pink leggings with one of my festival staples – a blue and white stripe long top, onto which I pinned multi coloured bath body puffs. My friend’s mum then lent me her amazing vintage sparkly and multi-coloured-square jacket and I did some colourful glittery dot designs across my cheeks. 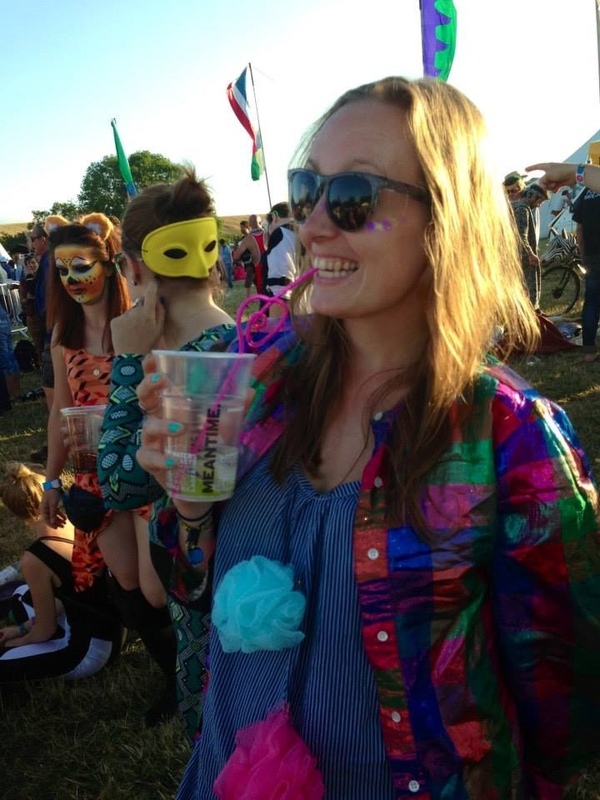 Easy festival fun! 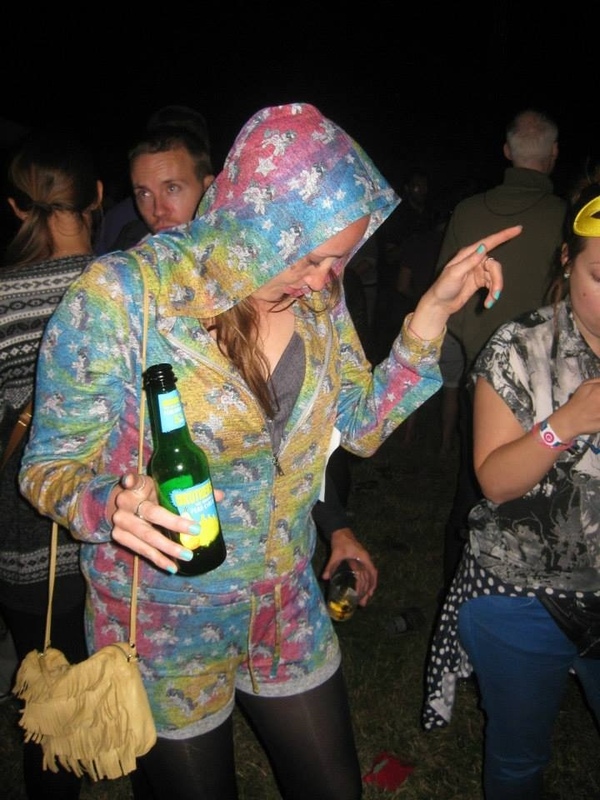 Obviously I HAD to wear my circus-esque tie-dye multi-coloured unicorn print My Little Pony onesie! This was the best year for Standon music-wise in my humble opinion! De La Soul absolutely smashed it on Sunday night and really got the crowd going. Digitalism headlined the main stage on Friday and again were well received! 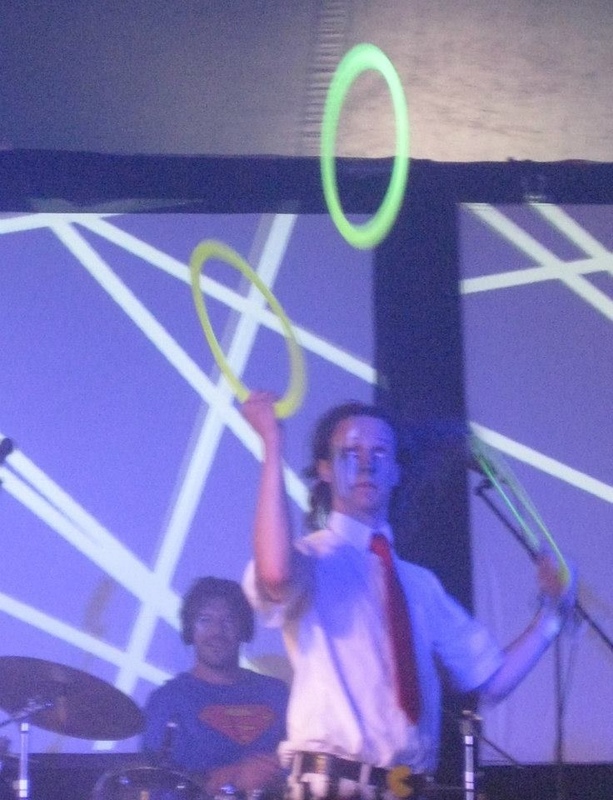 The Correspondents put on the most energetic performance of the weekend, I literally felt worn out watching him! It was such a good set I wish they’d headlined and ended the night rather than played an early evening slot! Craig Charles executed an absolute corker of a DJ set in the Big Top on Sunday night which was a great way to dance the last night away. 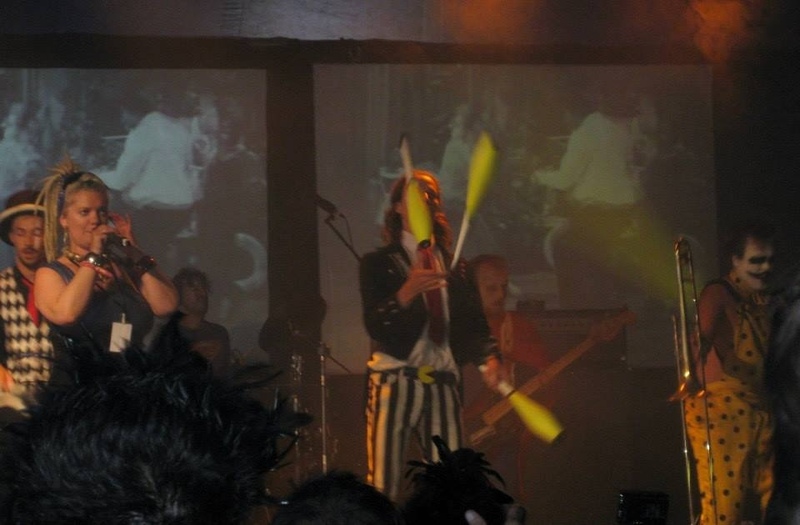 The biggest hit for me though was Slamboree, who played the Big Top on Sunday afternoon. 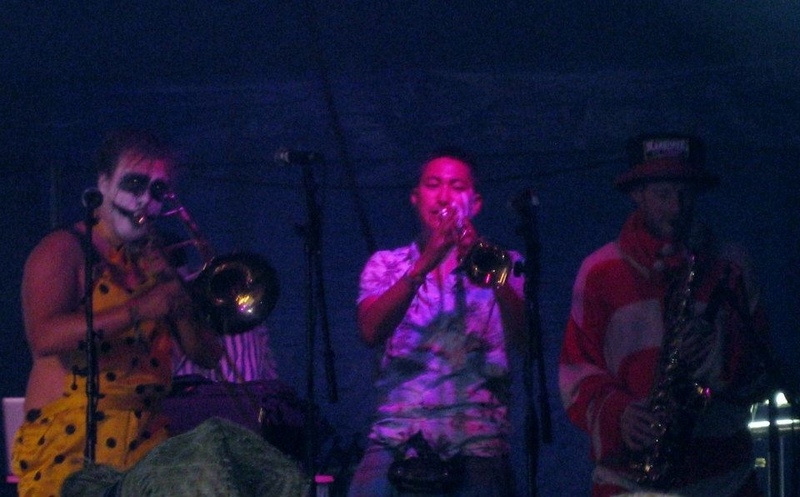 Describing themselves as a “Pyro circus rave massive” they mix dub step and drum and bass with folk and Balkan music, and perform circus acts at the same time. Literally insane! 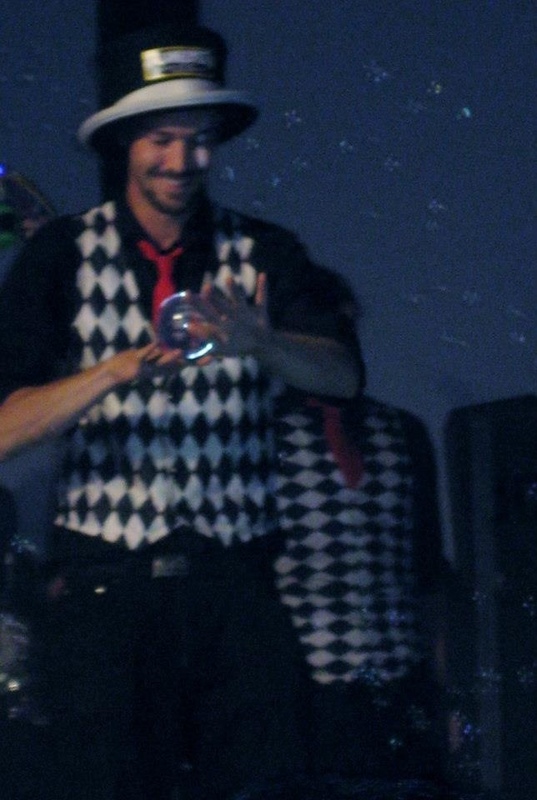 The crowd was going absolutely wild as their enthusiasm on stage was electric. You could tell they were having the best time and it really radiated around the tent. I will definitely be keeping an eye out for any future performances from them! The only thing that put a bit of a downer on the weekend at times was that the security guards were quite unpleasant! Nothing kills the festival vibe like unnecessarily aggressive bouncers being positioned on every gate! Sure a security presence is important, but they don’t need to be rude and actively antagonistic, particularly to the male members of our party. Security at festivals should be there to ensure you’re partying in a safe, secure environment, not to unnecessarily throw their weight around like bouncers of a London club. It’s not something we’ve ever experienced at any other festival either! Here’s the pretty glitter I bought at Standon. 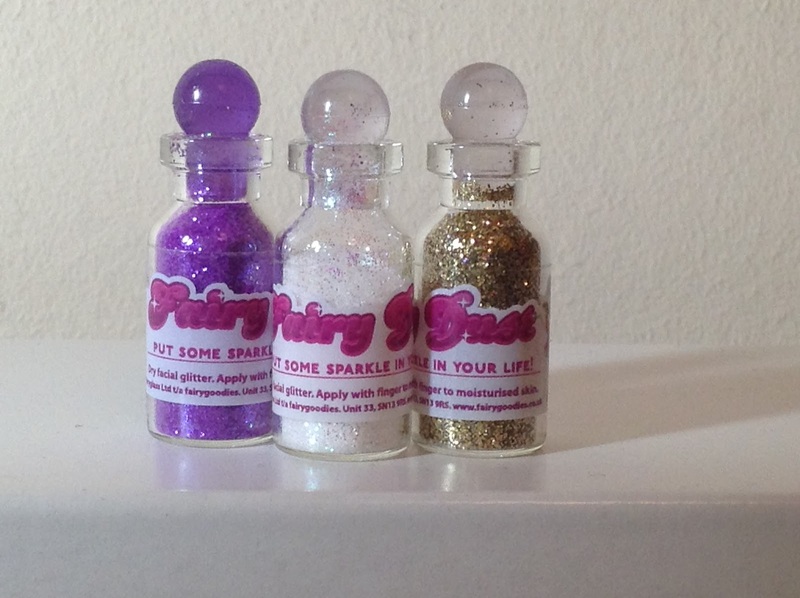 How cute are the little “Fairy Dust” bottles? 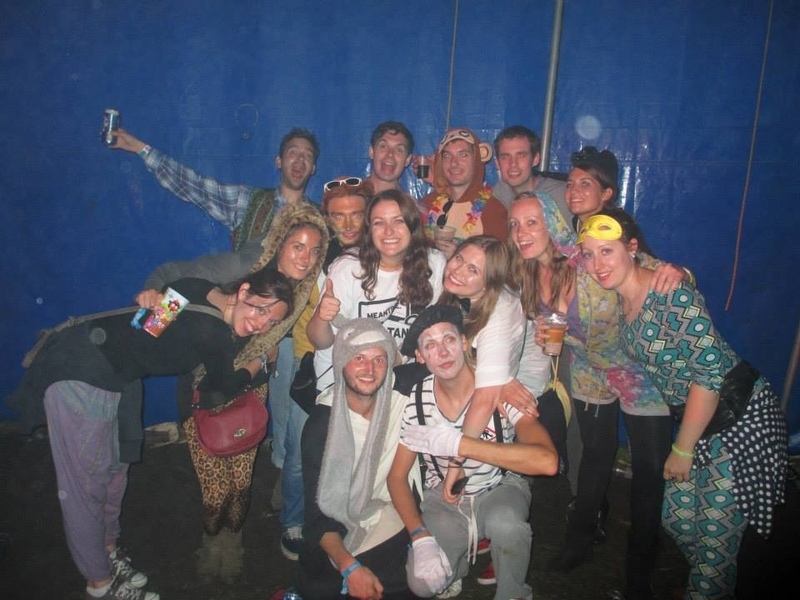 Overall I’d definitely recommend a trip to Standon Calling! It’s a fun little festival which is a really easy, casual alternative to some of the bigger ones! A great place to follick in a field with your best friends and have a dance to a variety of excellent music. Are you a festival fan? What festivals have you been to this year?